When developing a sense of style, it is an important process to have a piece of the basics, and a dress shirt is one basic item to incorporate into your wardrobe. 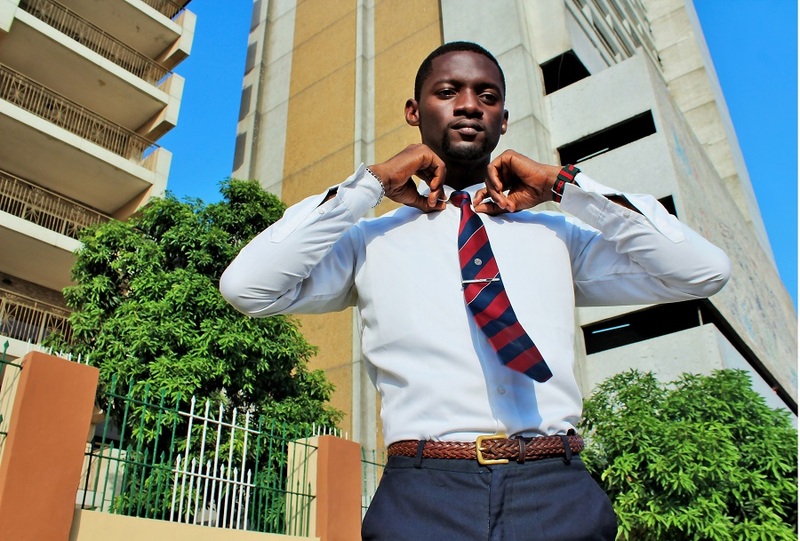 The dress shirt, commonly referred to as "shirt" is a garment, worn on the upper body, with a collar , sleeves (could be short or long), and a front opening (called a "placket"), which holds fasteners, like buttons or studs. The placket, found both on the collar and the cuffs help with easy removal and putting on of the dress shirt. Dress Shirts were predominantly worn by men, until the early 80's when they were also worn by women. Also, they are majorly of cotton fabric, otherwise can be of any fabric and texture. As time comes and goes, and as fashion and style evolves, the dress shirt has gone beyond the stereotyped formal wear to a more casual fit, and this current trend of versatility is the more reason why every guy ( and lady too) should own a dress-shirt. Coming from my own personal perspective to style, I'd always say that every outfit can have its switch-up, and can be worn in more ways than one. A percentage of my wardrobe are dress-shirts ...(well, because of work), however the key thing to pick from this post is that dress-shirts can be styled some other way. The first, being the formal way, is to have your dress-shirt tucked into your cotton pants, and have a long tie (or bow-tie, as the case may be). Take into consideration the choice of fabric, colour of the dress-shirt, as well as how the colour of the tie balances effortlessly with the shirt. The rule of the thumb is to always have a lighter colour of dress-shirt worn with a darker colour of tie, and if they are of the same colour , the dress-shirt should be a lighter tone, while the tie should be darker, as it was worn in this post..
As you can see, there is no limit to styling the dress-shirt the casual way. The smart trick here is to keep your dress-shirt white when going the causal way of styling. A white dress-shirt can go with virtually everything casual. Get a white dress-shirt, and the possibilities are endless. Dress-Shirts can never be underestimated and should be one of your style staple. If you don't wear/have any, this should show you the many ways they can be worn and inspire you to get one. Guys, Do you have dress shirts? How do you like to style your dress-shirts? ..
Ladies, how do you like to see dress-shirt on guys .? Do share with me in the comments section on how you like your dress-shirts..